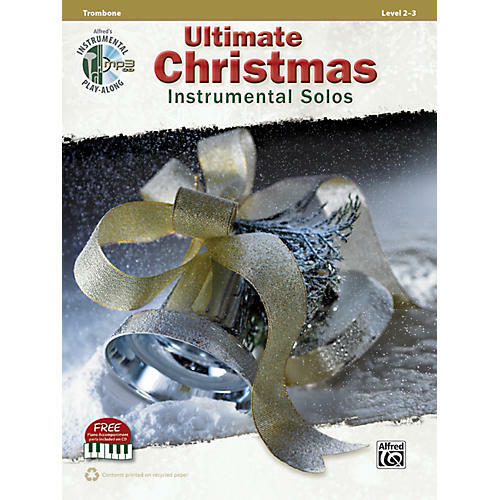 Alfred's Ultimate Christmas Instrumental Solos series is arranged for flute, clarinet, alto sax, tenor sax, trumpet, horn in F, trombone, violin, viola, and cello. All wind instrument arrangements are fully compatible and can be successfully performed as ensembles or solos by students who have completed the first book of any standard band method. A fully orchestrated accompaniment MP3 CD is provided, featuring each song as a live performance demo track followed by a play-along track. The MP3 CD also contains a PDF of the piano accompaniment and Alfred's Tempo Changer Software. Titles: Believe (from The Polar Express) * Do They Know It's Christmas? (Feed the World) * Frosty the Snowman * Gesu Bambino * Happy Xmas (War Is Over) * Have Yourself a Merry Little Christmas * I'll Be Home for Christmas * Infant Holy * Jingle Bell Rock * Jingle Bells * Let It Snow! Let It Snow! Let It Snow! * The Little Drummer Boy * Lo, How a Rose E'er Blooming * O Christmas Tree (O Tannenbaum) * O Holy Night * and many, many more.